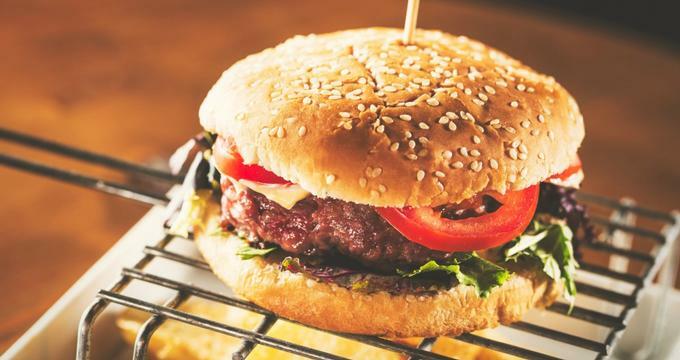 From lauded burger chains that can be found countrywide to unique contemporary joints that promise a dining experience like no other, here are a list of Chicago's best burger places. 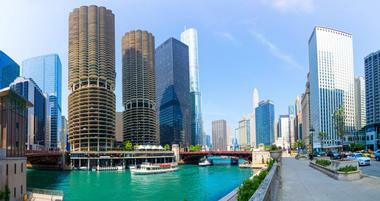 Visiting Chicago and not sure where to stay? The windy city boasts a plethora of excellent hotels for every budget and taste, from comfortable long-stay suites to luxurious five-star retreats with spectacular city views. From great views and romantic parks to unique attractions and world-famous museums, Chicago is a great destination for couples. Chicago has become a foodie’s haven with a wide variety of award-winning places to wine and dine, and when it comes to breakfast and brunch, the city also delivers. Explore the Peoria Riverfront Museum, Luthy Botanical Garden, the Peoria Zoo and other attractions on your weekend trip to Peoria, Illinois. Champaign County is a small, friendly town in Illinois with an array of attractions and activities, great shopping, excellent restaurants, casual cafés, and gracious hospitality. 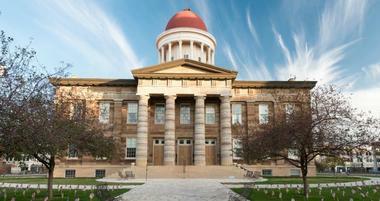 Springfield, Illinois, might be best known for its most famous resident, President Abraham Lincoln. Rockford is a beautiful historic city located on both sides of the Rock River in Northern Illinois. From nature trails to galleries, parks to performing arts, farmers markets to sports, shopping malls to festivals, Schaumburg has a lot to offer. Top things to see & do in Galena include the Ulysses S. Grant Home, the Old Market House and Casper Bluff Land & Water Reserve. Illinois is an interesting and varied state, with an urban metropolis and the country’s third largest city, Chicago, as well as some of the countries most productive agriculture land. 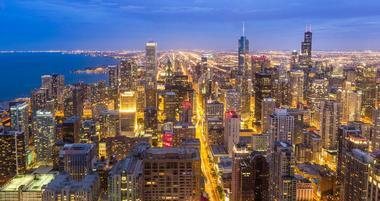 Visit the Windy City to get your fill of culture at the art museums, comedy and music clubs and more. See what makes Illinois the Land of Lincoln in Springfield, the capital and President Lincoln’s former home. Take to the outdoors in numerous parks such as the Starved Rock State Park and Shawnee National Forest. Step back in time in numerous small, historical towns such as Elsah, Galena and Quincy. You will quickly see that Illinois has something to offer anyone. Springfield is the state’s capital but it is far from the largest city in the state and is located somewhat near the state’s center. The city was home to Abraham Lincoln and features many attractions related to the famous president. The Abraham Lincoln Presidential Library and Museum contains a collection of rare Lincoln artifacts, the Lincoln Home National Historic Site preserves the location of the President’s Springfield home and the Lincoln-Herndon Law Office is the only of Lincoln’s law offices that is still in existence. Additional visitor attractions in Springfield include the Lincoln Tomb, the Old State Capitol, the Illinois Korean War Memorial and much more. Chicago, Illinois’ largest city and the third largest city in the United States is a vibrant, metropolitan area known for shopping, architecture, cultural attractions, music, comedy and fine dining. It’s scenic location on the shores of Lake Michigan offers miles of lakefront beaches, boat tours, and a wealth of attractions at the iconic Navy Pier. Chicago has some of the best museums in the world such as the Field Museum of Natural History, the Museum of Science and Industry and the Art Institute of Chicago among many others. One of the most popular ways to see the city in a short amount of time is via a hop-on, hop-off bus tour. 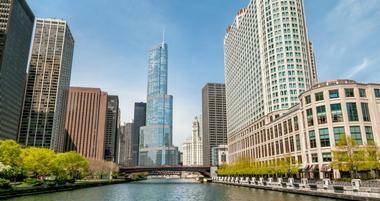 These tours visit the majority of the Windy City’s major attractions such as Adler Planetarium, John Hancock Center, Millennium Park and Navy Pier. Rockford is located in northern Illinois about halfway between Chicago and Galena. The city is located on the Rock River which is where its name comes from. Some of the town’s attractions include the Midway Village Museum which is a historic village, the Rockford Art Museum and American League hockey team, the Rockford IceHogs. 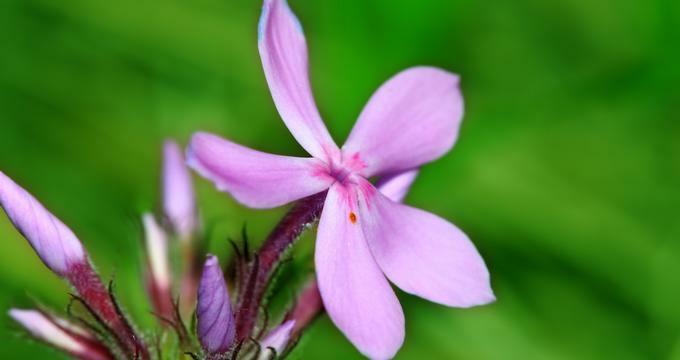 Several beautiful botanical gardens and arboretums are located around Rockford including the Nicholas Conservatory and Gardens, the Anderson Japanese Gardens and the Kiehm Arboretum and Botanical Garden. Families should certainly make time for the highly-ranked Discovery Center Children’s Museum and the Magic Waters Waterpark. Outdoor adventures can be had nearby at the Rock Cut State Park or the Sinnissippi Waterfront Shared Path. Peoria is a small but diverse city that serves as a hub for Illinois’ rural and agricultural region in the center of the state and is perhaps best known as being the home of the equipment manufacturer Caterpillar. The city is located on a river bluff and has easy access to the river. Attractions in Peoria include the family-friendly Glen Oak Zoo, the Luthy Botanical Gardens, Wildlife Prairie State Park and Tower Park which offers panoramic views for up to 40 miles on clear days. Visitors can also cruise the Illinois River on a paddlewheel riverboat known as the Spirit of Peoria, or take their chances at the Par-a-dice Casino just across the river from the city. Bloomington is a community in the heart of Central Illinois, located between Chicago and St. Louis. Together with it’s sister city of Normal, Illinois, it forms a community known as the Twin Cities. The area surrounding the city is largely agricultural and is one of the most productive farming regions in the country. The city has several noteworthy museums including the Children’s Discovery Museum, the McLean County Museum of History and the David Davis Mansion which is a historic house museum. Bloomington also has a zoo, theaters, an annual county fair, and one of the best and largest indoor climbing gyms in the country, Upper Limits, which was built into a series of grain silos. 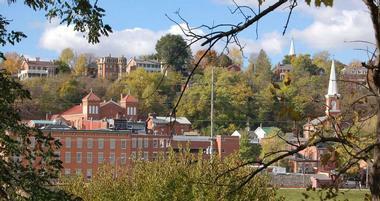 Galena is a city in Northern Illinois that is known for its rich 19th century historical and cultural heritage. The city’s name comes from the word for lead sulfide and refers to the local lead deposits that were largely responsible for the city’s early growth. The city has reinvented itself as a major Illinois tourist attraction with many elegantly restored homes operating as bed and breakfasts and a variety of historical homes, museums and other attractions. The main downtown attractions can easily be seen on foot, but there are also a few companies which offer trolley tours. The city was also home to President Ulysses S. Grant and his home is available for touring. Quincy is located on the Mississippi River in the westernmost area of Illinois. 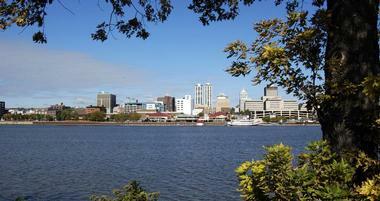 The city is known for having some of the most impressive historical architecture in the state. There are four major historic districts in the town where visitors can see virtually every architectural form from the about 1830-present. Some highlights include the Villa Kathrine which is a Moorish-style castle on the bluffs of the Mississippi river, the Governor John Wood Mansion which is an 1835 Greek Revival mansion, and the Dr. Richard Eells House which was a station on the Underground Railroad. Other attractions include the Granite Bank Gallery, the Quincy Museum and the Woodland Cemetery. Alton is a charming town on the banks of the Mississippi River, just across from St. Louis. The town was once a blue-collar manufacturing town but as manufacturing has faded from the predominance it once held, Alton has reinvented itself into a tourist destination. The town is located along the Meeting of the Great Rivers National Scenic Byway and has numerous wineries, bed and breakfasts, guest houses, golf courses and more. The waterfront offers boating and parasailing and the nearby parks and historic sites offer countless opportunities to hike, bike, run and learn about the history of the area. Elsah is a village in southwest Illinois, and a suburb of St. Louis. The town is often referred to as the “town that time forgot”. It was somewhat off the beaten track until the Great River Road opened and brought more tourists to the area. The village gives visitors a look back into America’s past and features limestone and brick houses flanking narrow streets and surrounded by beautiful gardens. The historic homes in Elsah are mostly privately owned and not open to the public however, there is an annual house tour in December where many residents open their homes for touring. The town is especially beautiful in autumn and is located in close proximity to many good locations to see bald eagles both of which bring many tourists each year. Elmhurst is a western suburb of Chicago and town with many cultural and historical attractions as well as outdoor recreational opportunities. There are several unique museums to visit including the Elmhurst History Museum, the Theatre Historical Society of America, the Elmhurst Art Museum and the Lizzadro Museum of Liapidary Art that has a unique an impressive collection of gems and gemstone carvings. The town also has an orchestra, children and adult theaters and other cultural attractions. The city park system offers plenty of places to relax outdoors and there are several memorials and monuments throughout the city including the Sesquicentennial Clock, the World War I Elmhurst Veterans Memorial as well as a Vietnam War veterans memorial, the Glos Mausoleum and many others. Marion is located in beautiful southern Illinois. There are many activities and events to choose from in the city including sporting events, wineries, golf courses, theater, lakes and trails. Crab Orchard National Wildlife Refuge is located in Marion and is made up of more then 43,000 acres of preserved land where visitors can explore the outdoors. Hunting and fishing are popular activities in the park as is wildlife viewing. The park is especially popular among wildlife enthusiasts in the fall when bald eagles come here to nest. Marion also offers plenty of fine dining and shopping opportunities in the downtown area. The Lincoln Tomb is the final resting place of President Abraham Lincoln who was the 16th president of the United States. The president, his wife Mary Todd Lincoln and three of their four sons are all buried in Oak Ridge Cemetery in an 12 acre plot with an impressive tomb and memorial. A short walk from the tomb, three war memorials have been erected. The memorials in the historic site include the World War II Illinois Veterans Memorial, the Korean War Memorial and the Vietnam Veterans Memorial each of which honor citizens of Illinois who were killed during the respective wars. Anderson Japanese Gardens is a 12-acre Japanese-style garden located in Rockford. The gardens were designed by landscape architect Hoichi Kirusu on the site of John R. Anderson’s home. Anderson had visited Japan several times and wanted to reproduce the traditional Japanese garden on his own property. The gardens are a 13th-century style featuring several ponds, waterfalls, streams and rock formations. Winding paths pass through the gardens are and conducive for strolling. The gardens contain many beautiful plants as well as fish and ducks. Additionally a sukiyaki style tea house and guest house have been built in the gardens. The Naperville Riverwalk is a beautiful and tranquil path along the West Branch of the DuPage River. The walk has 1.75 miles of paths, fountains and bridges for walking or jogging along the riverfront. The riverwalk is decorated with outdoor sculptures, memorials and artwork. Several meeting and event spaces as well as recreational facilities exist along its length. On the east end, the riverwalk connects to Fredenhagen Park which features fountains, a clock tower, and bell tower. 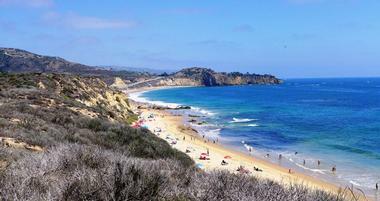 Further west is Centennial Beach and Centennial Park which are popular destinations for family recreation. Many annual events are held on the Riverwalk each year and include holiday activities, triathlons, flower sales and more. The Morton Arboretum is a public garden and outdoor museum in Lisle that collects and studies plants and trees from around the world. The Arboretum has a library and herbarium and offers a program in tree research. The Arboretum offers many fun educational exhibits which include the Children’s Garden and the exhibit titled Vanishing Acts: Trees Under Threat. There are also a wide variety of year-round activities available in the park including biking, hiking and running the multi-use trails. Cross-country skiing and snowshoeing are also available when there is enough snow. One of the best ways to experience the Morton Arboretum is through a guided, one-hour tram tour. Starved Rock State Park is a wilderness area known for its steep canyons made from sandstone. The park is located on the Illinois River. Several of the canyons including the French, Wildcat and St. Louis canons have scenic waterfalls. Thirteen hiking trails offer a range of sights and difficulty levels. A popular wooded trail leads up to an overlook called Lover’s Look which offers panoramic views of the river and the Starved Rock Dam. Wildlife that can be spotted in the park include white-tailed deer, bald eagles and other birds. Fishing is permitted in Starved Rock, including ice fishing in the winter time. Shawnee National Forest is a big section of national forest in Southern Illinois near the city of Carbondale. There are many interesting bluffs and overlooks throughout the park. Some highlights include the Garden of the Gods Recreation Area which features a 0.25 mile trail winding through several rock formations that are perched on a scenic cliff. The Burden Falls Wilderness is a section of the national forest that offers hiking trails and a very scenic, albeit small waterfall at the southern edge. Primitive camping is allowed in the national forest year round and free of charge and there are seven developed campgrounds with sites available for a fee. Grosse Point Lighthouse is a historic lighthouse in Evanston which was built in 1873. The lighthouse was built after several shipwrecks occurred and demonstrated a need for one. The grounds of the lighthouse are open to the public year round for no fee. However, tours of the lighthouse are only offered seasonally and only in good weather. The tours do not allow young children inside the lighthouse and there is a twelve-person limit. When weather permits, tour-goers can climb the 141 steps to the light tower. Visitors should verify in advance whether the climb will be a part of the tour on the day they wish to visit. 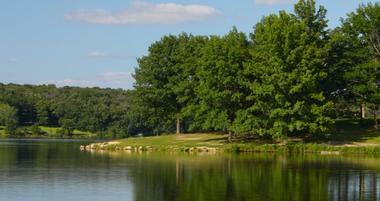 Fabyan Forest Preserve is an extremely popular forest preserve located on the Fox River in Kane County. The park features many historic and natural features such as streams, gardens, ponds and more. Visitors can spend time fishing in the river and biking or jogging on the numerous trails. The preserve was created on land that was once part of a large country estate called “Riverbank.” The estate had a model farm, numerous greenhouses, a windmill, several ornamental gardens and more. The owners had many ornamental stone and concrete features sculpted and placed on the property, many of which still remain in the park today. Cahokia Mounds State Historic Site is the location of a pre-Columbian Native American city and a UNESCO World Heritage Site. It is located just across the Mississippi River from St. Louis and is the largest and most significant prehistoric site site north of Mexico. The site was one of the greatest cities of its time and the residents were accomplished builders who erected many buildings and structures at the site. The site covers more than 4,000 acres and has a large number of earth mounds, including one that is 100 feet high. The Interpretive Center at Cahokia Mounds is a beautiful museum that features interactive exhibits related to the history of the lost civilization that once inhabited the area. Mississippi Palisades State Park is a National Natural Landmark located in Carroll County near Savanna. Some of the park’s trails have been used by Native Americans since ancient times and therefore the area is rich in Native American history. The park preserves a section of the Mississippi River palisades, or steep cliffs lining the river. There are scores of interesting rock formations, caves and more throughout the 2,500 acre park. There are primitive and modern campsites available for overnight guests as well as a park store that sells camping supplies and limited groceries. Wildlife sightings along the trails and river include a variety of waterfowl and shorebirds, wild turkeys, white-tailed deer, skunk, fox, weasels, badgers and more. Matthiessen State Park is a park located nearby from the more well-known and heavily trafficked Starved Rock State Park nearby the town of Oglesby. The park is centered around a stream which travels from Matthiessen lake to the Vermillion River. The stream is surrounded by interesting rock formations, waterfalls and other natural features. There are five miles of hiking trails which are well-marked. An additional nine miles of trails are available for horseback riding and mountain biking. There are many beautiful and interesting plants and wildlife in the park including frogs, salamanders, a variety of birds and white-tail deer. It is sometimes possible to see bald eagles at the park as it is very near an eagle sanctuary. Chautauqua National Wildlife Refuge is situated on the Illinois River in Mason County. It is one of four Illinois River National Wildlife and Fish Refuges. Hunting and fishing are both allowed within the refuge provided that guests follow park regulations. However, most guests simply come to observe the wildlife in the park. The extensive trail system, observations decks, boardwalks, fishing piers and more provide nearly endless opportunities for guests to see wildlife. Guests can self-tour the park any time of the year, however Chautauqua Refuge also offers auto tour events which provide numerous wildlife viewing opportunities around the park’s South Pool. Grant Park is a large urban park in Chicago’s Loop community area. The park is in the middle of Chicago’s central business district. It’s most notable features are the Art Institute of Chicago and the Museum Complex, Buckingham Fountain and Millennium Park. 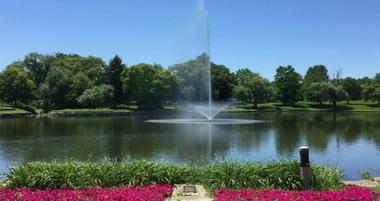 The large, 319 acre park is bordered on the east by Lake Michigan and provides fantastic views of the lake. Several pieces of art and sculptures are placed throughout the park including the most famous, Cloud Gate. Grant Park has a variety of performance venues and several public gatherings and large, public events are hosted at the park each year. This state managed trail named for the dark tunnels along its path is a 55.6 mile bike path that passes through several counties in Illinois. The path follows the path of a disused section of railway and runs from Karnak to Harrisburg. The trail passes scenic streams, rolling fields and even past a few so-called ghost towns. The path is made from crushed limestone rocks and can be used by both bicyclists and hikers. There are restaurants, shops and more in both Vienna and Harrisburg, but services are quite limited for most of the path. The trail is fairly difficult but is a memorable experience for those who ride it.